April 15 tour kayaking Nikko Bay half day. 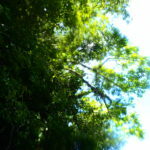 The weather was fine and in nice condition. 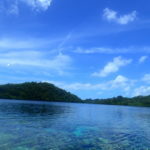 Beautiful blue sky, crystal blue sea is waiting in the shallows. 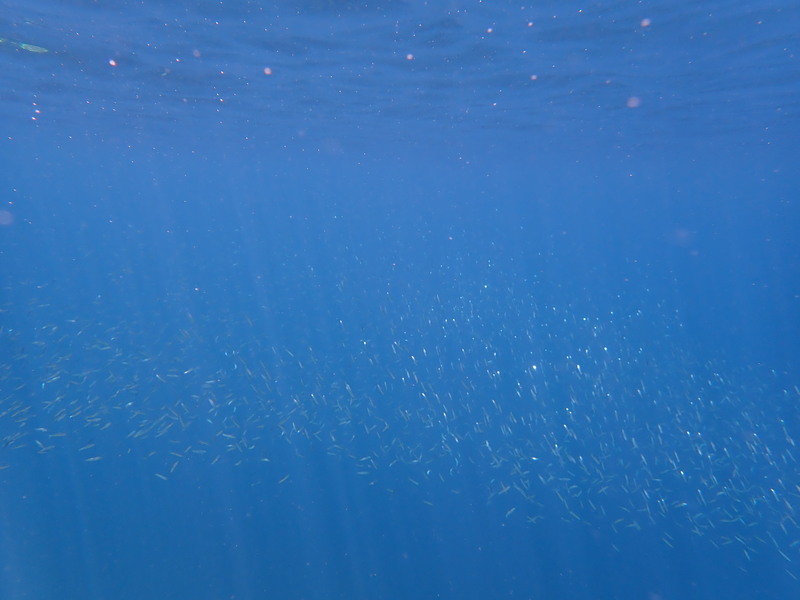 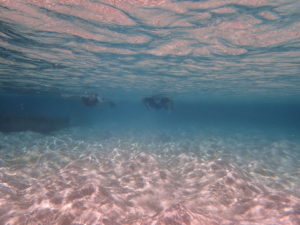 It was so hot that We did snorkeling soon. 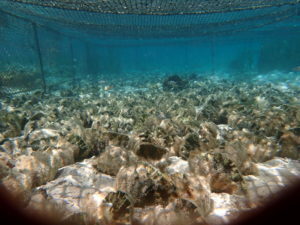 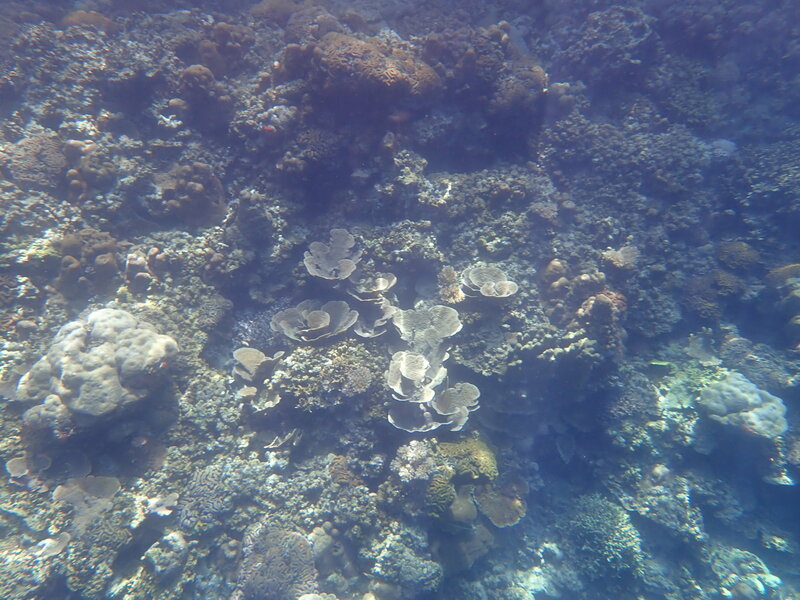 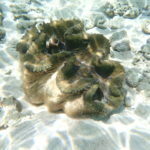 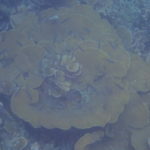 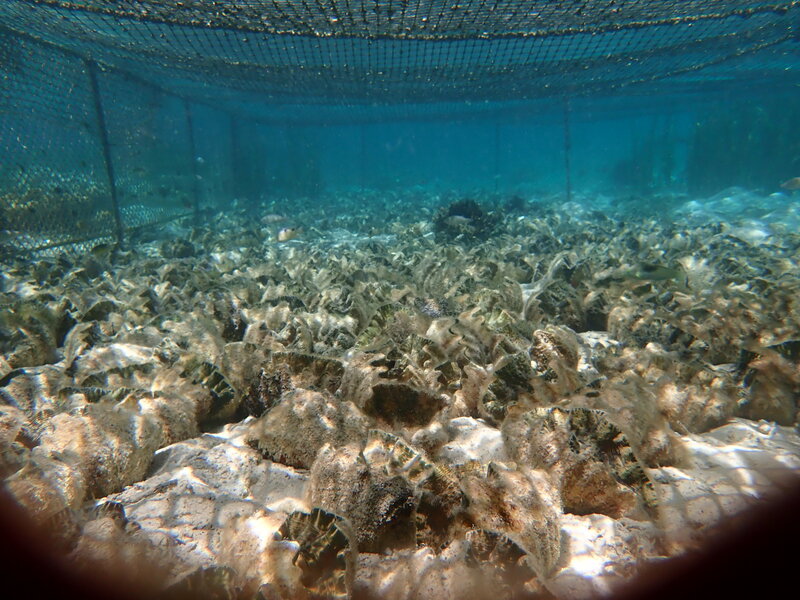 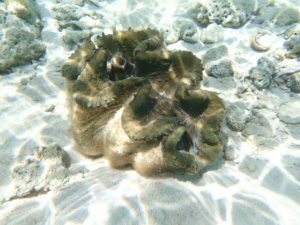 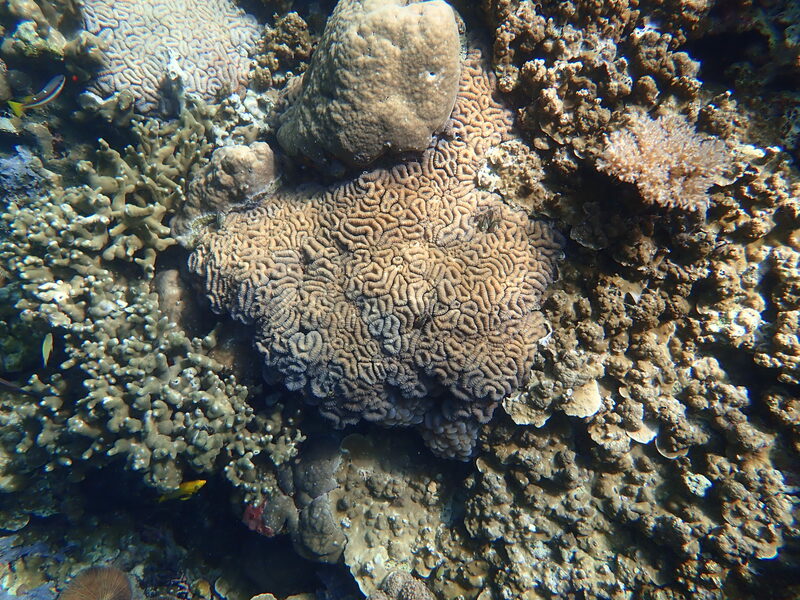 Here we observed the local giant clam farm.As for Giant, this is still a child. 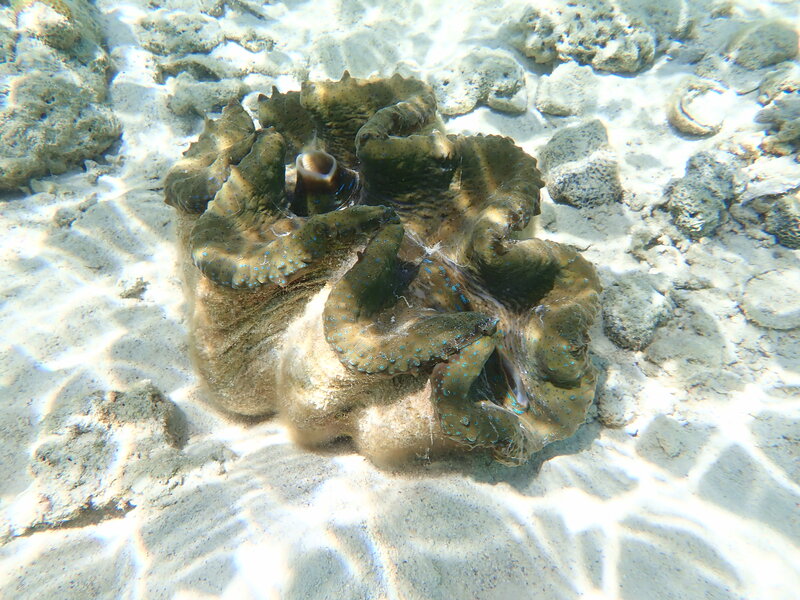 Is it about 3-5 years old. 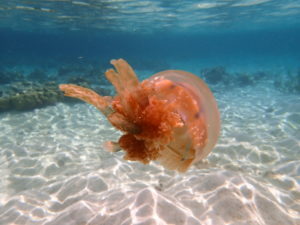 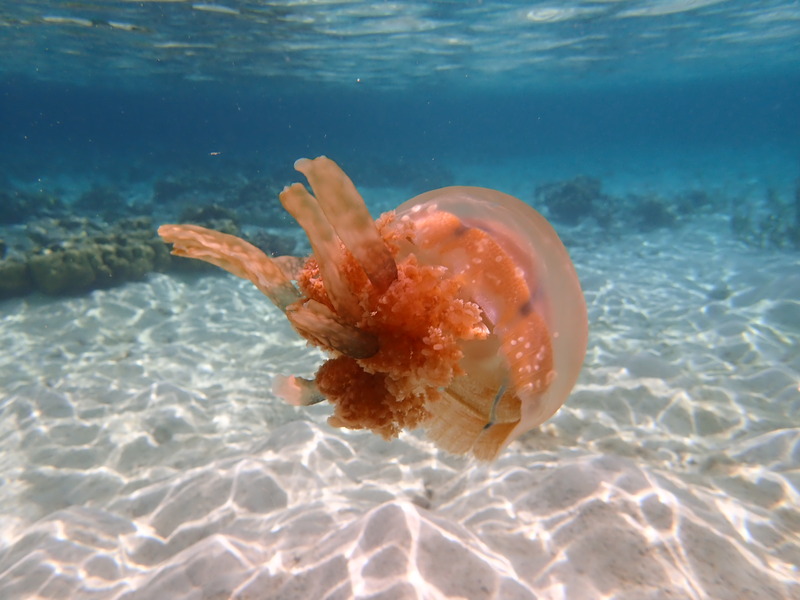 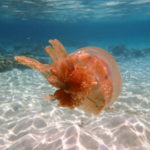 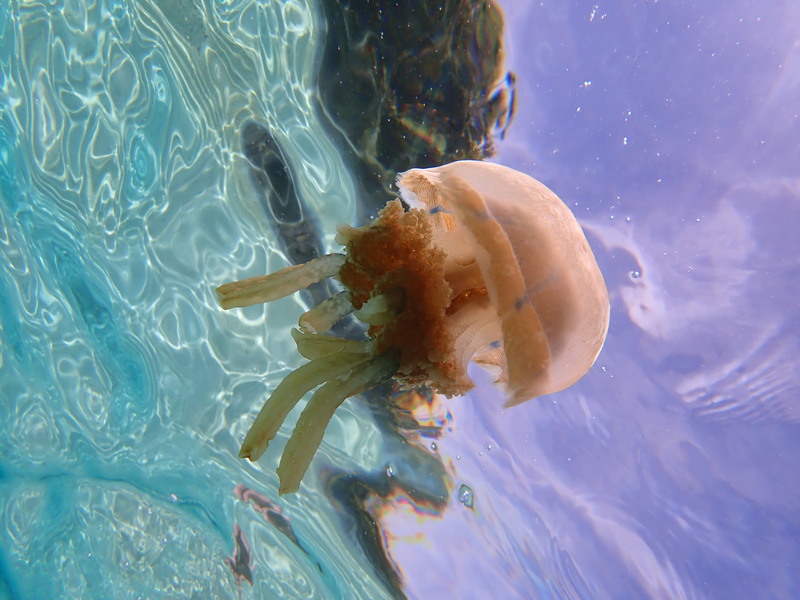 We could meet a jellyfish. 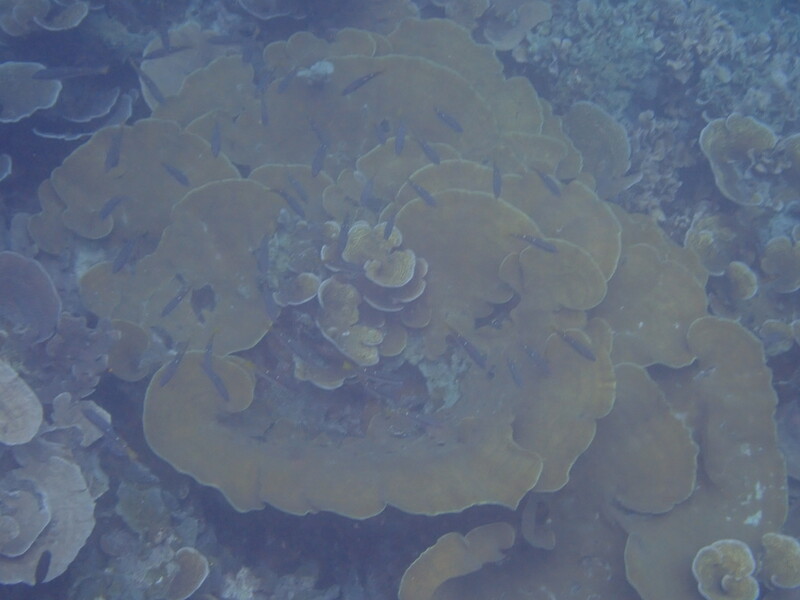 There is a bit of poison on the feet, so it is recommended that you do not touch it. 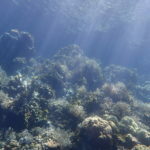 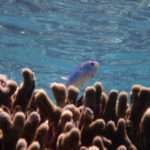 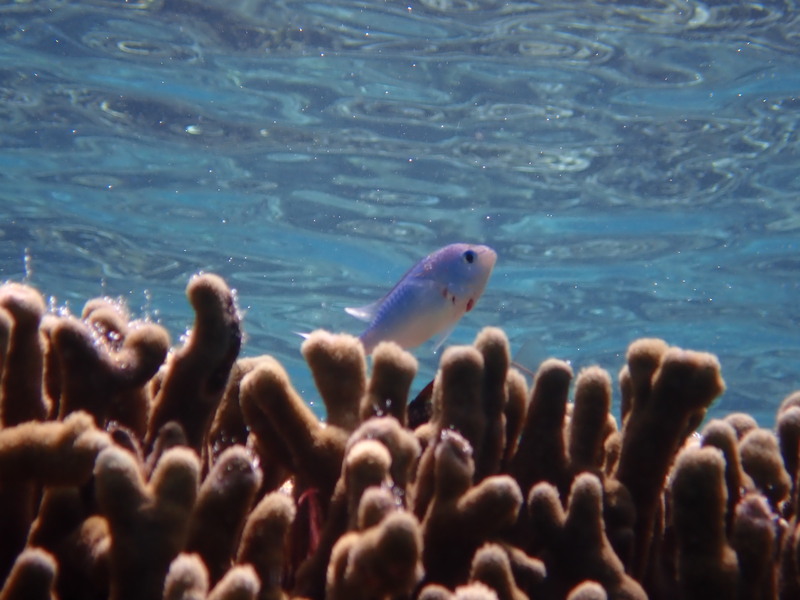 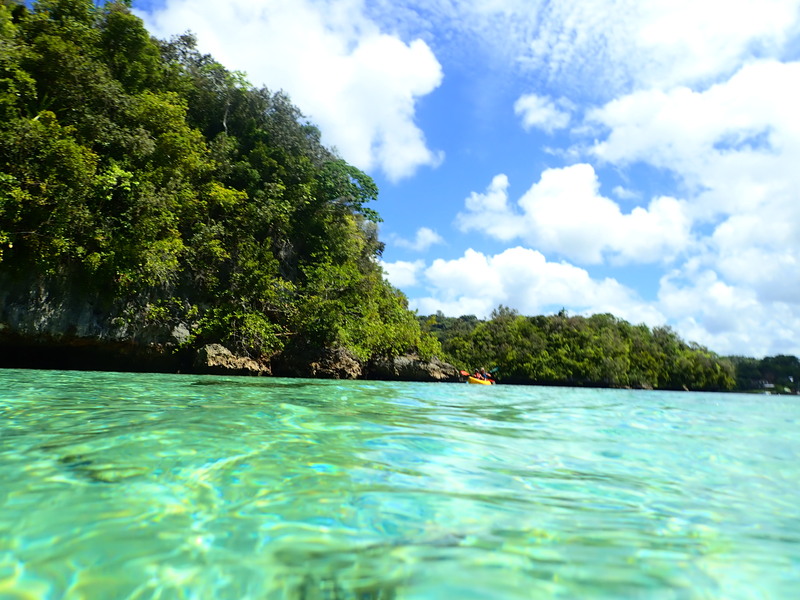 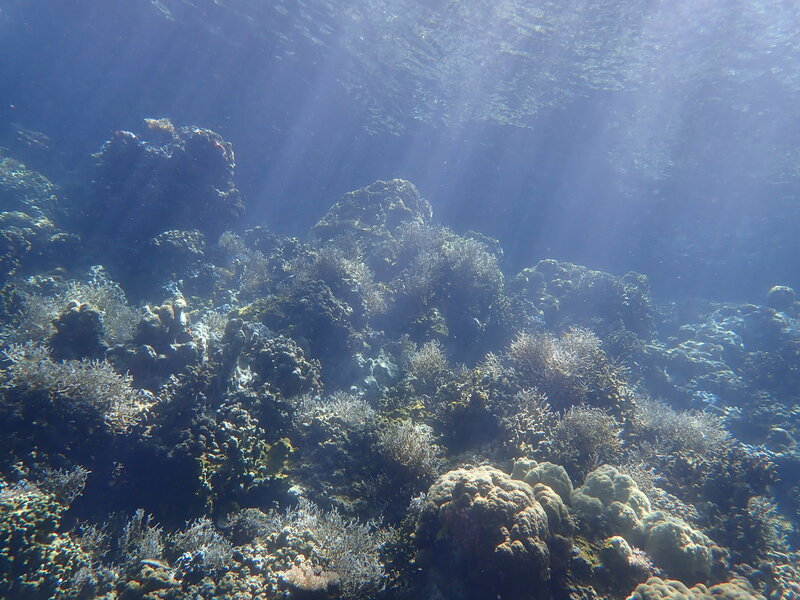 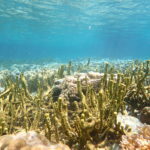 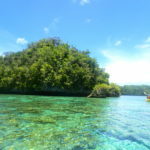 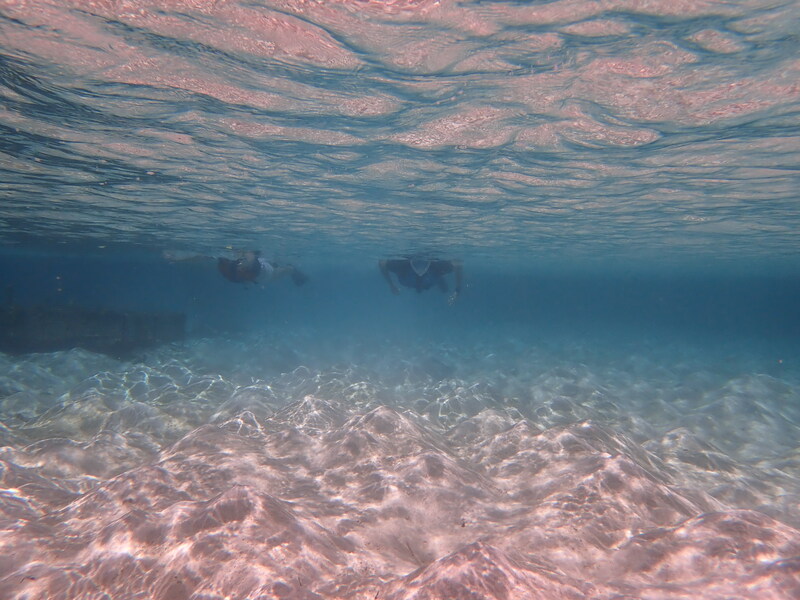 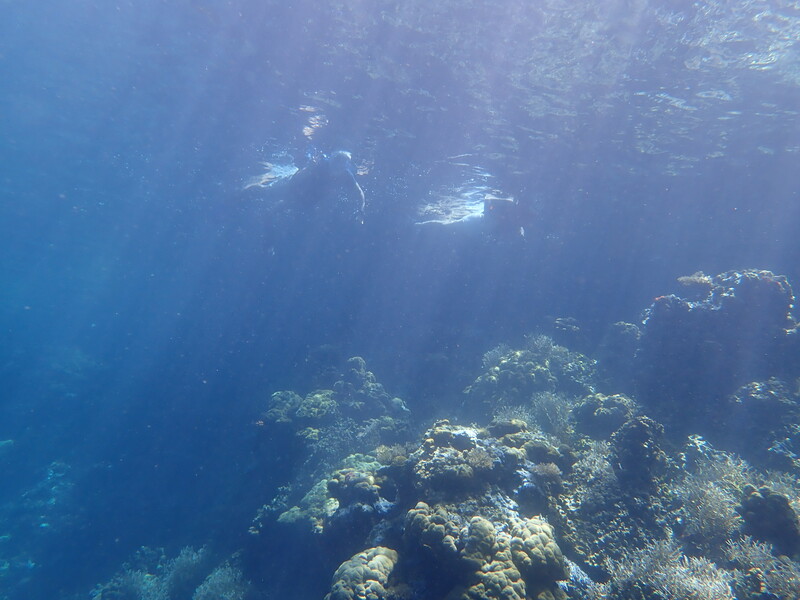 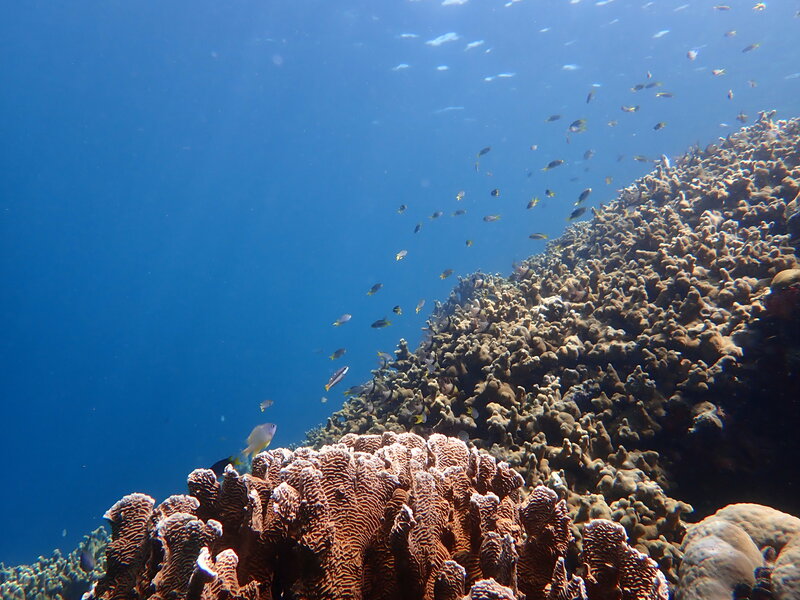 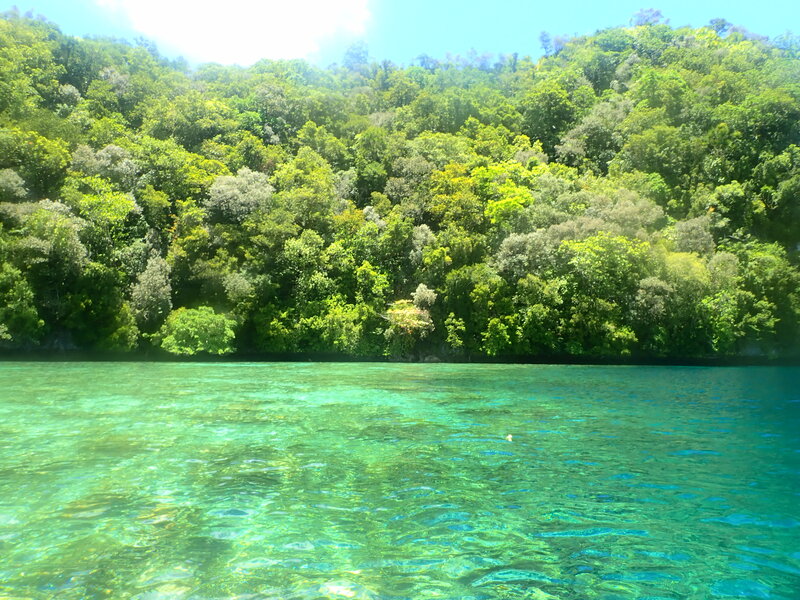 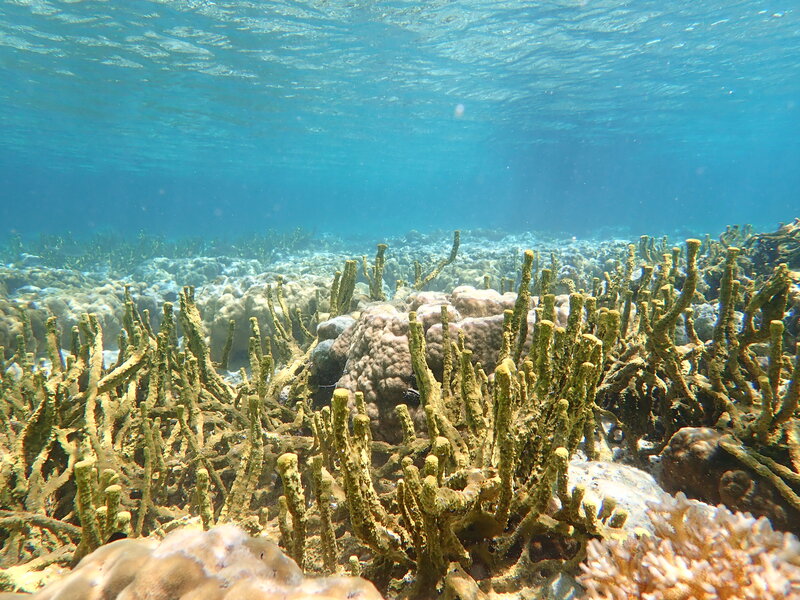 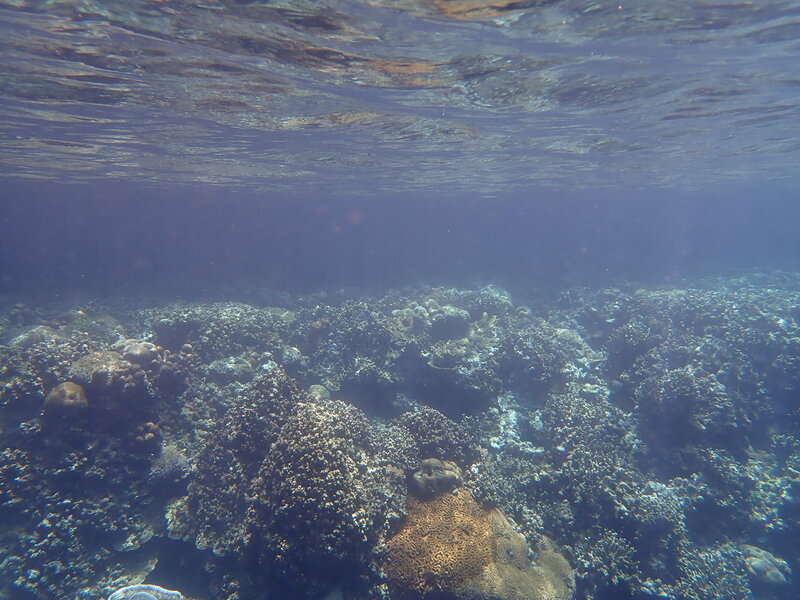 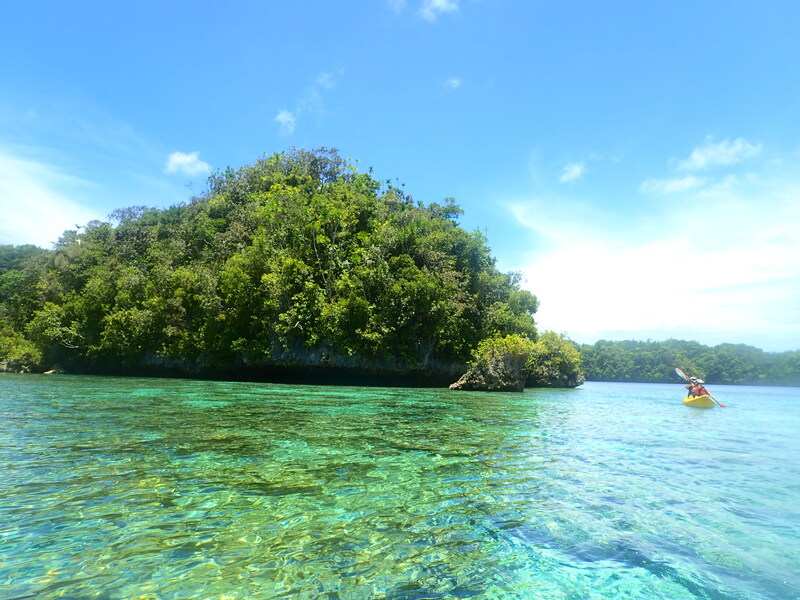 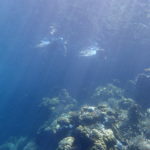 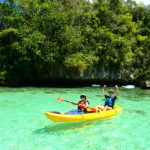 The atmosphere changes when you go through the shallows and go to the depths.Rock Island is an island made of coral, so the area near the island is surrounded by coral reefs, so swimming anywhere is beautiful. 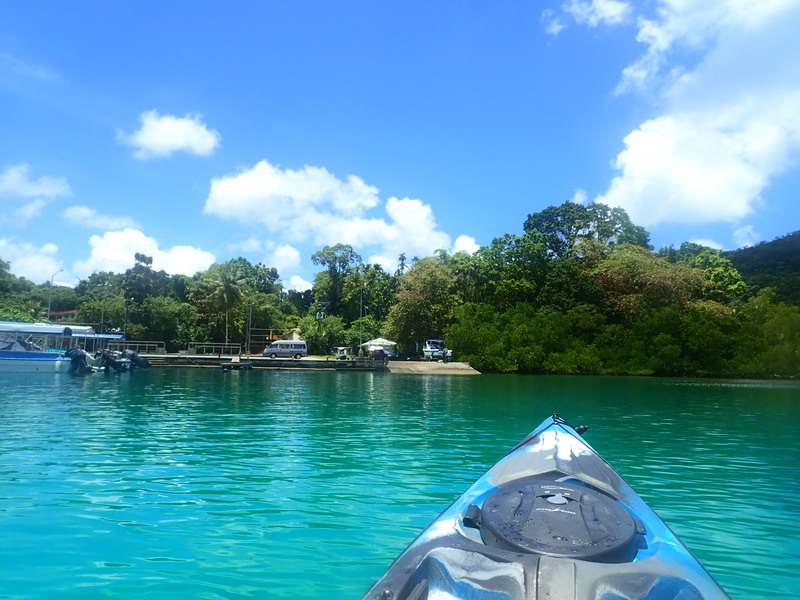 Relax while listening to the voices of wild birds at cove. 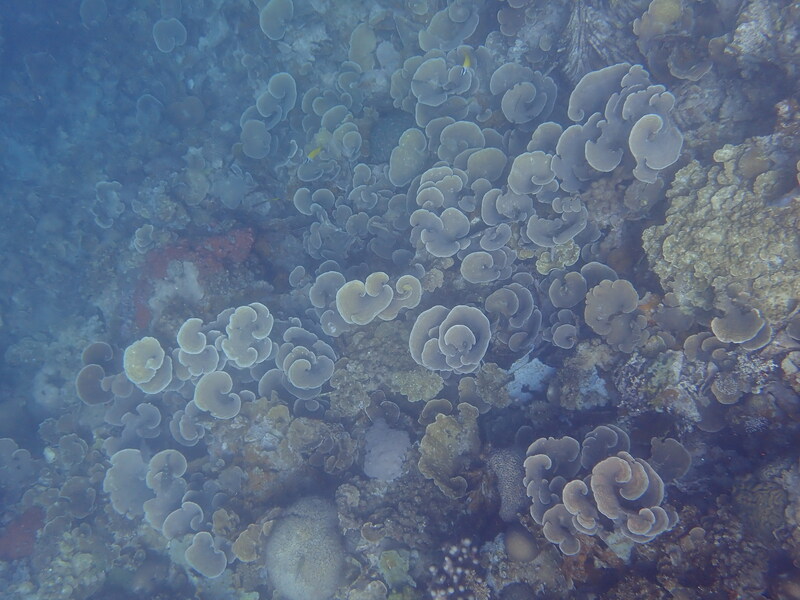 The color of the sea changing from place to place is interesting. 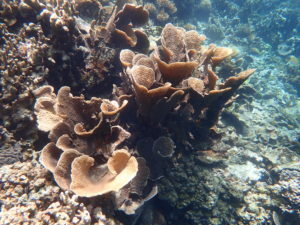 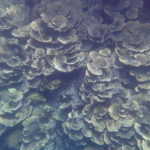 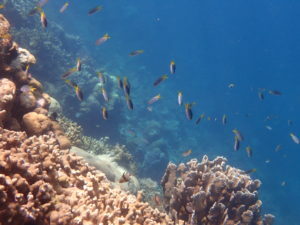 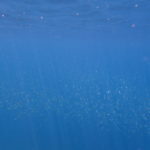 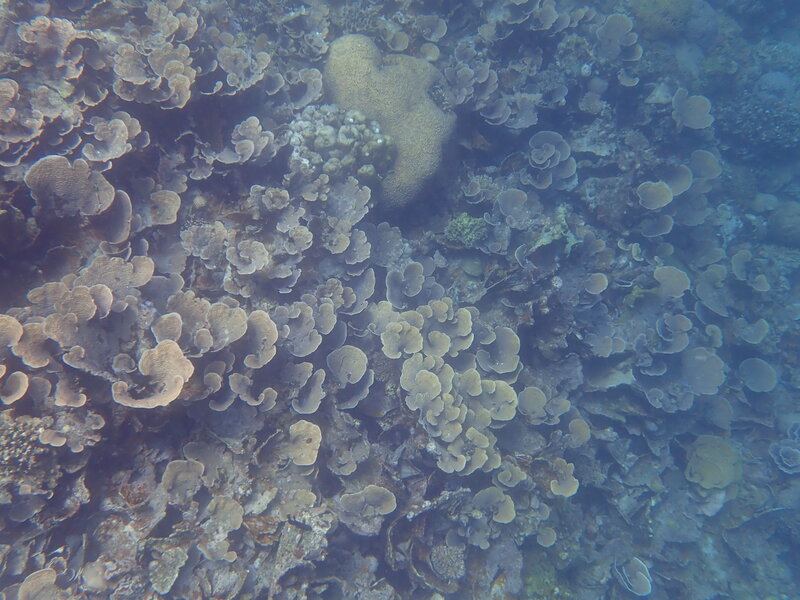 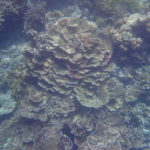 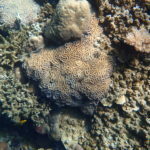 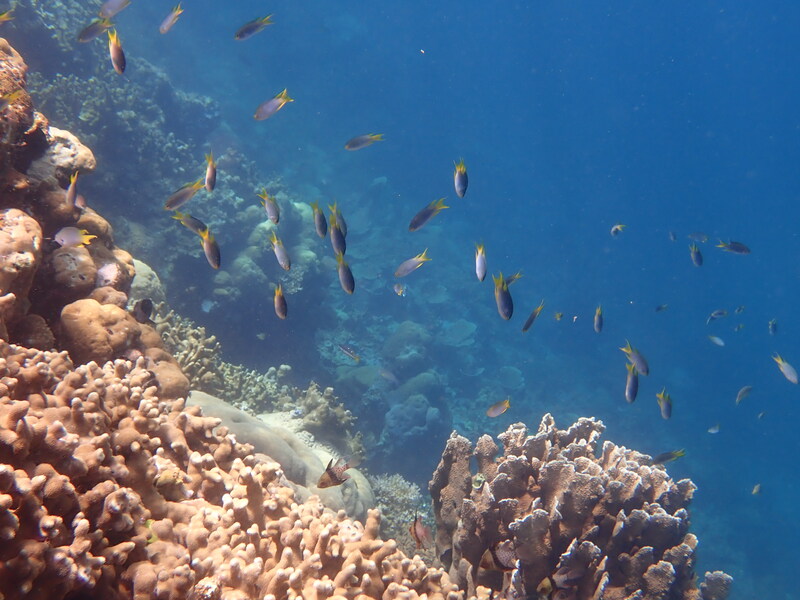 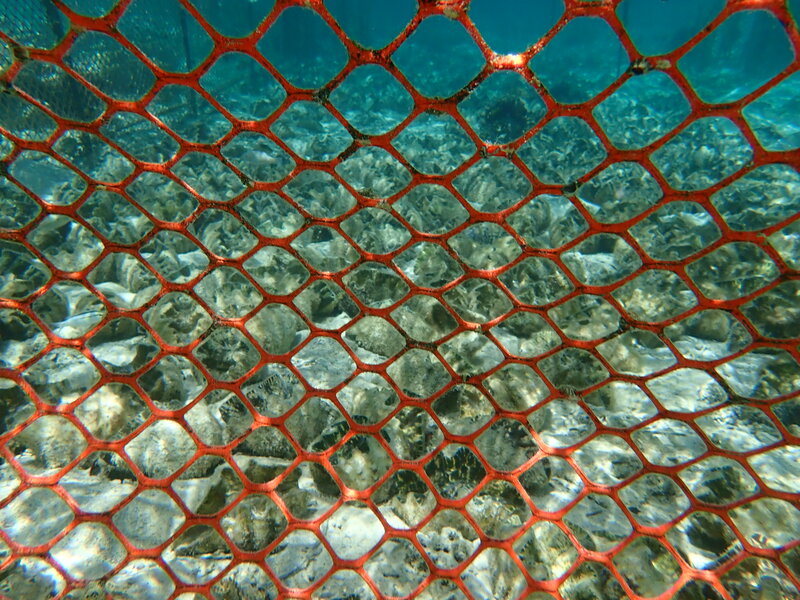 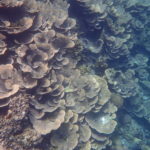 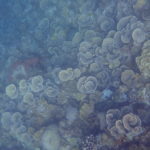 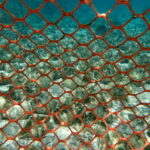 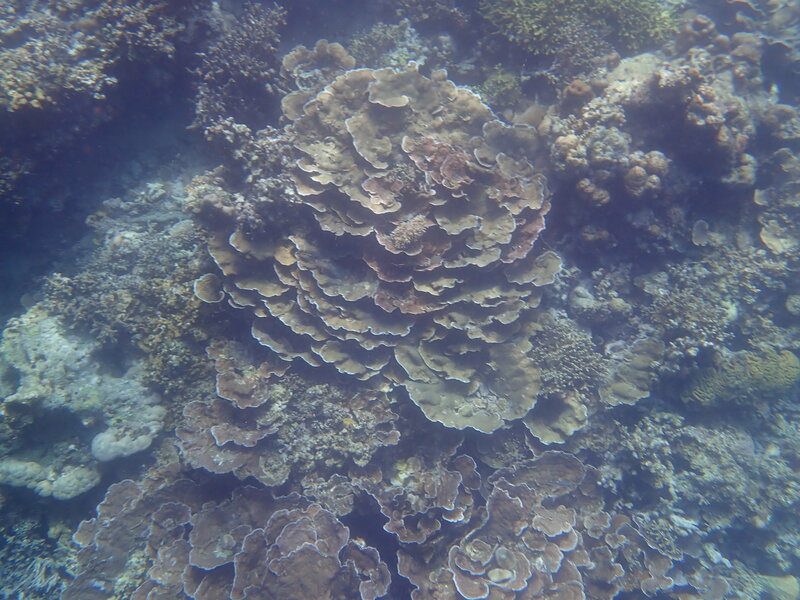 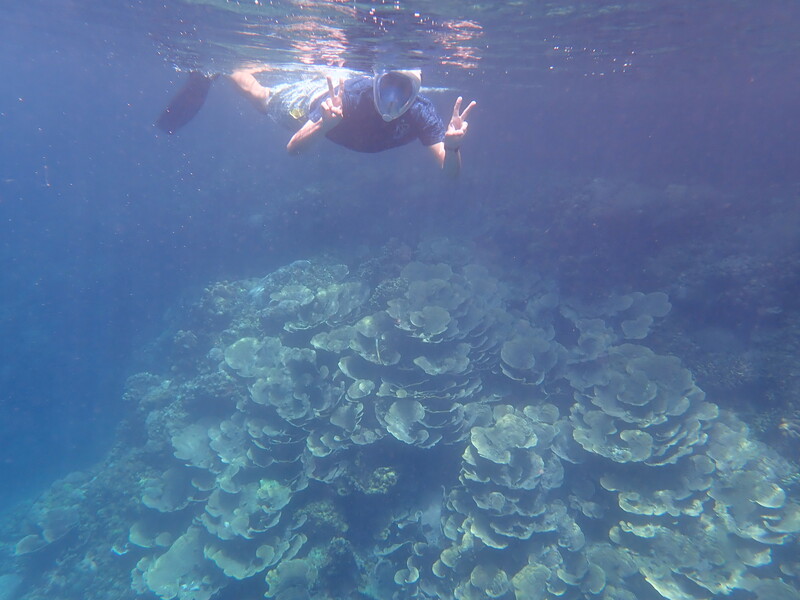 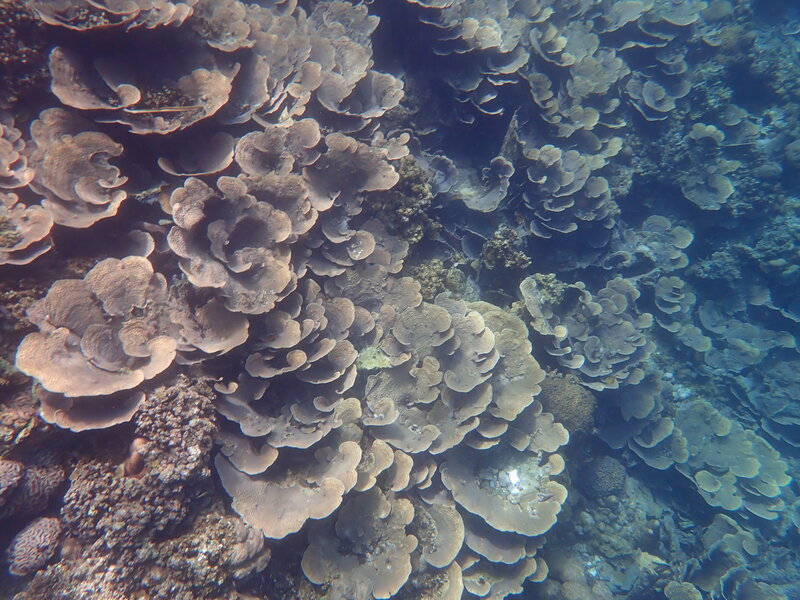 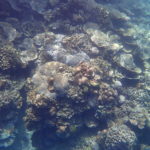 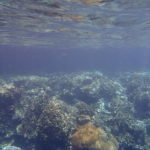 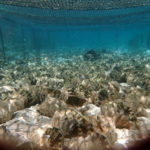 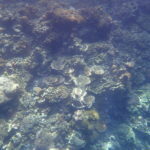 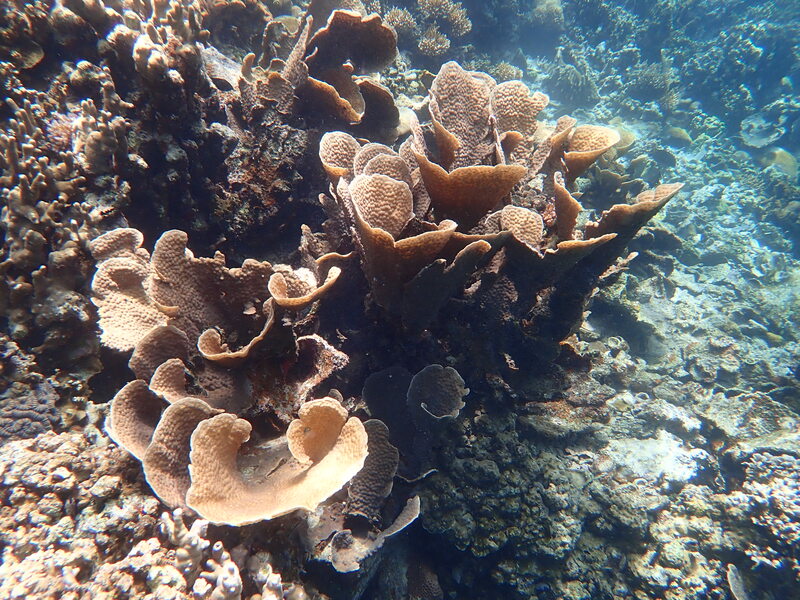 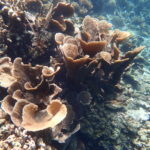 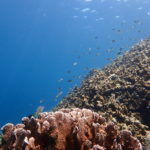 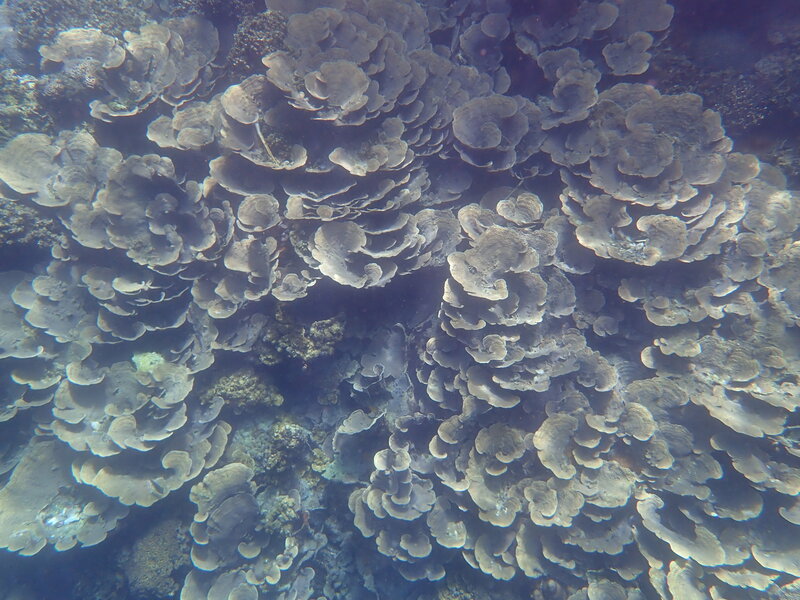 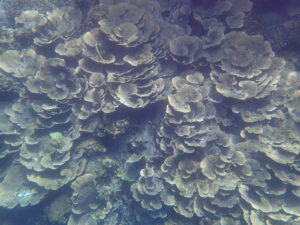 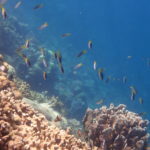 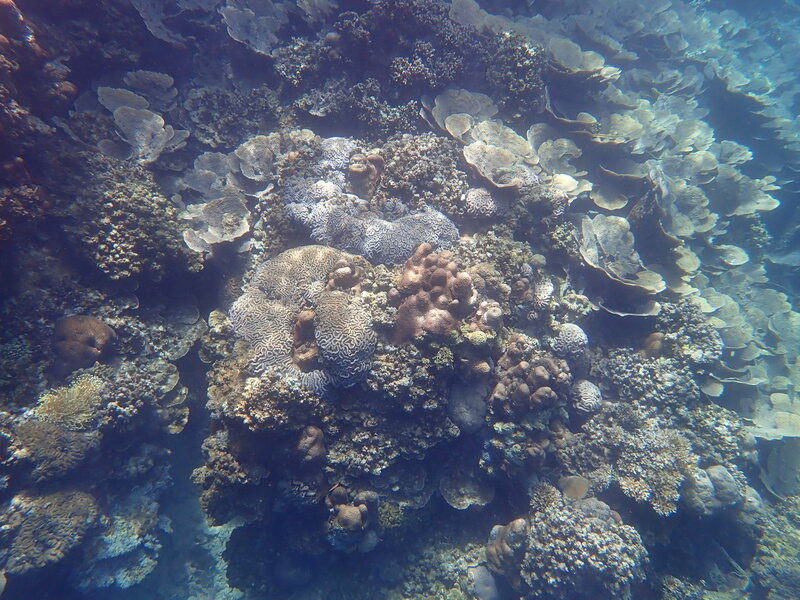 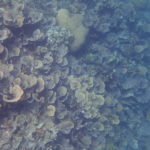 Snorkeling at the Cabbage Wall.There are various beautiful Cabbage corals line the shore. 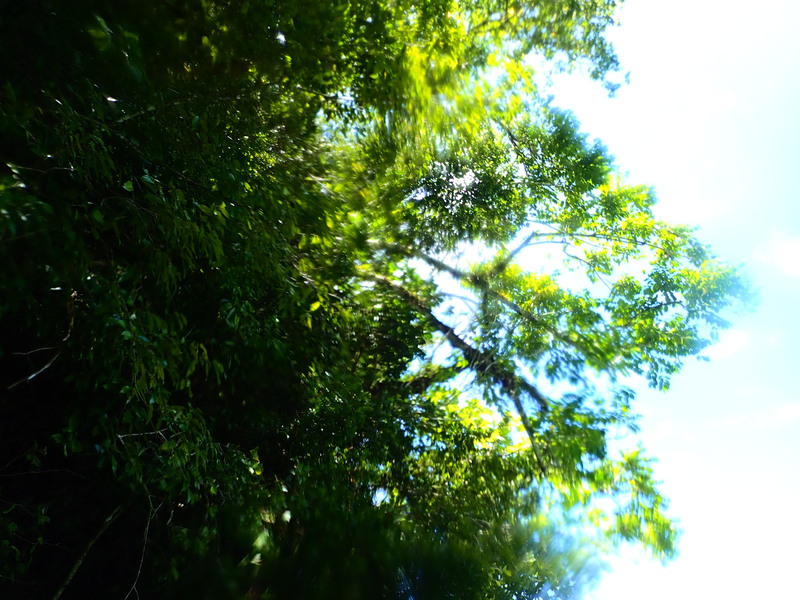 Break in the shade of jungle. 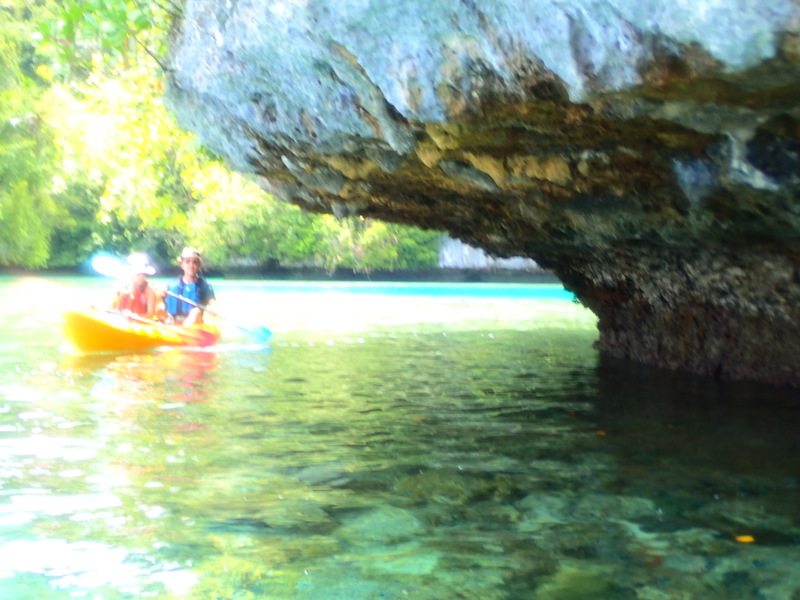 When the tide drops, Rock Island becomes the best resting place. 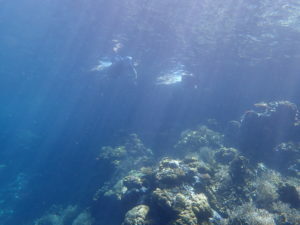 In addition, it is also possible to go through the shore, it is a little adventurous feeling. 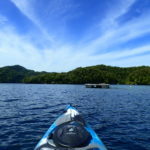 I don’t understand to me who like kayaking, but Nikko Bay has few tourists. 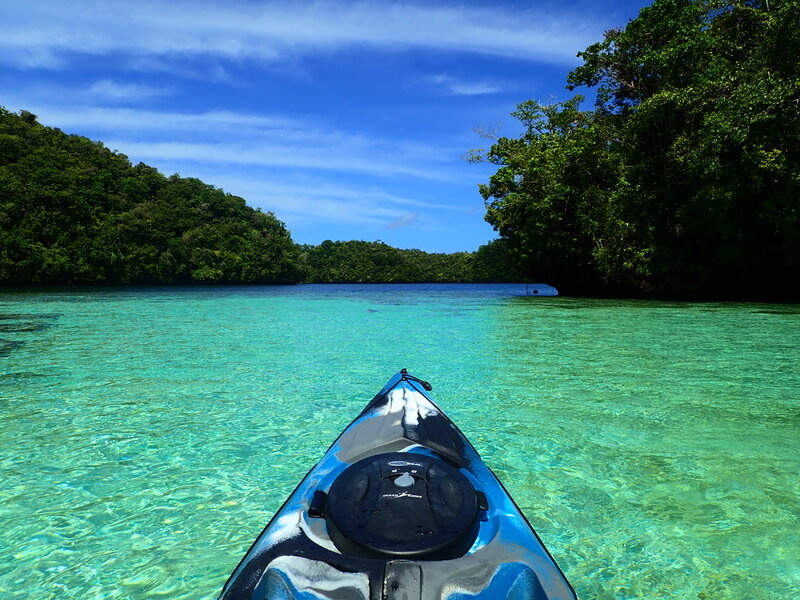 In other words, you can enjoy kayaking on the best field with few people. 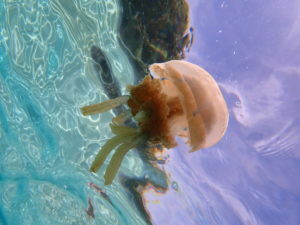 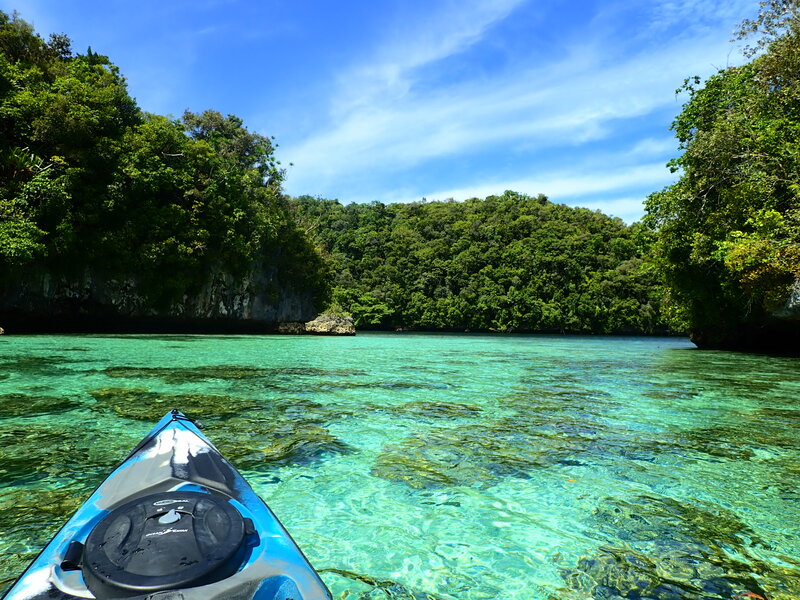 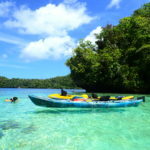 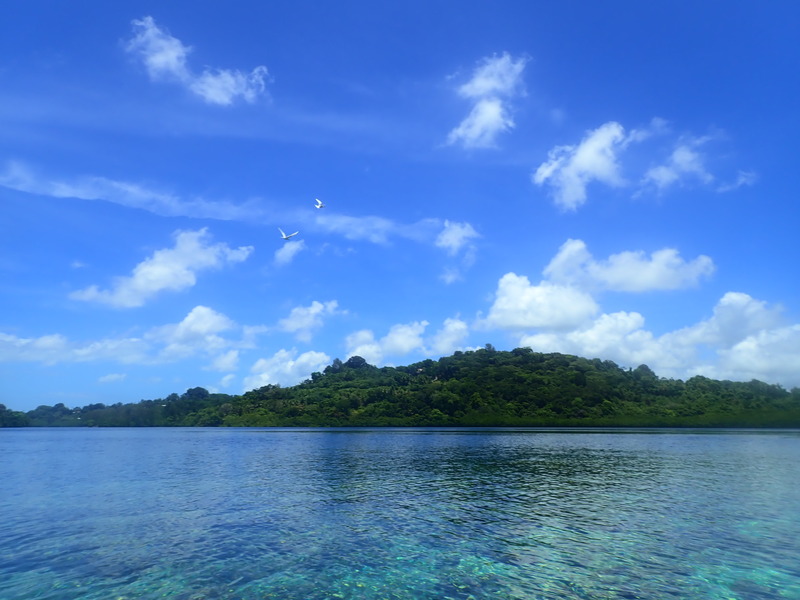 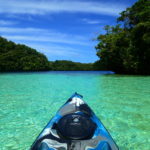 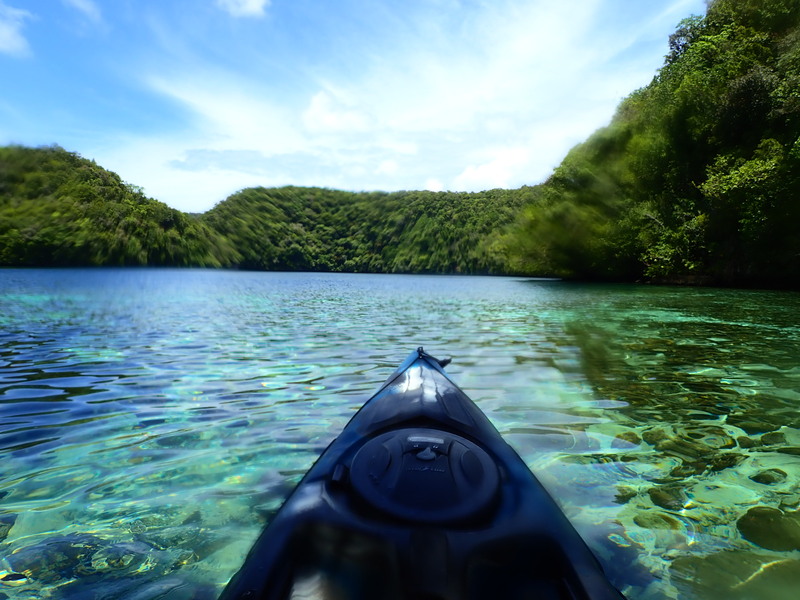 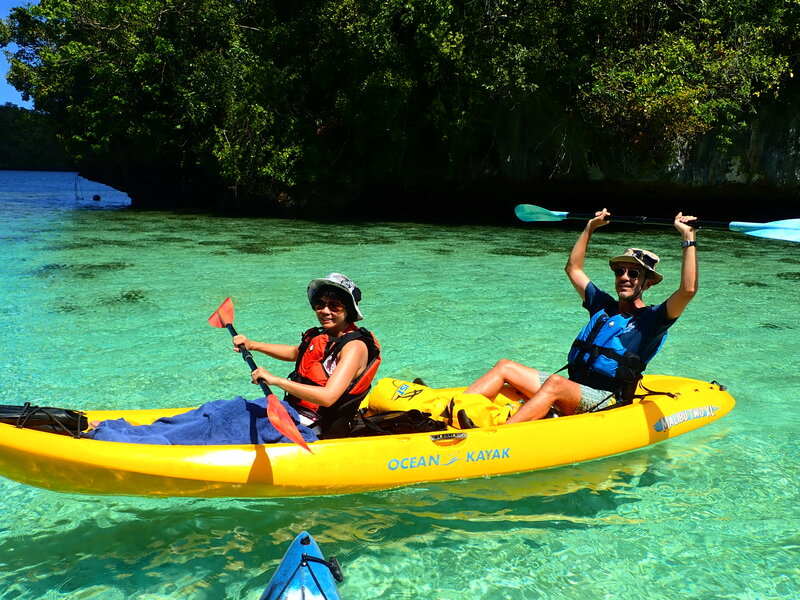 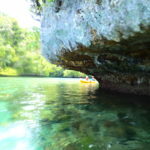 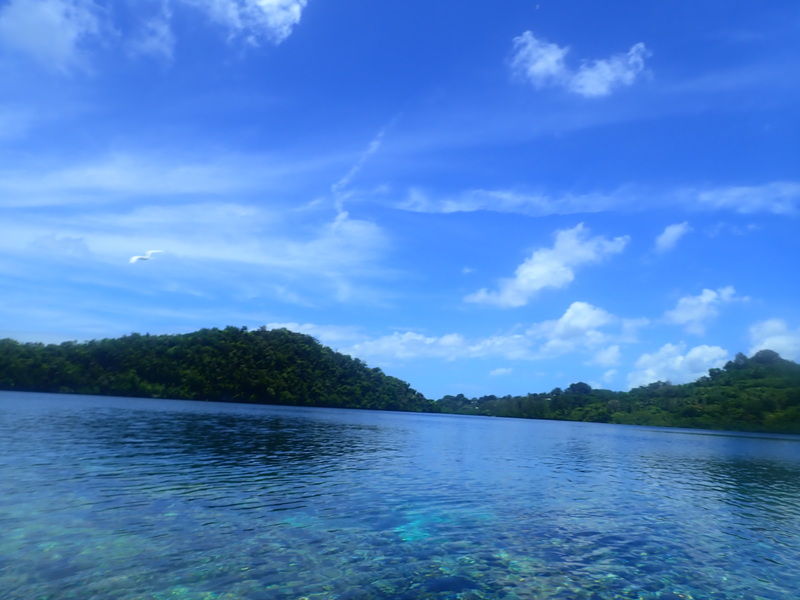 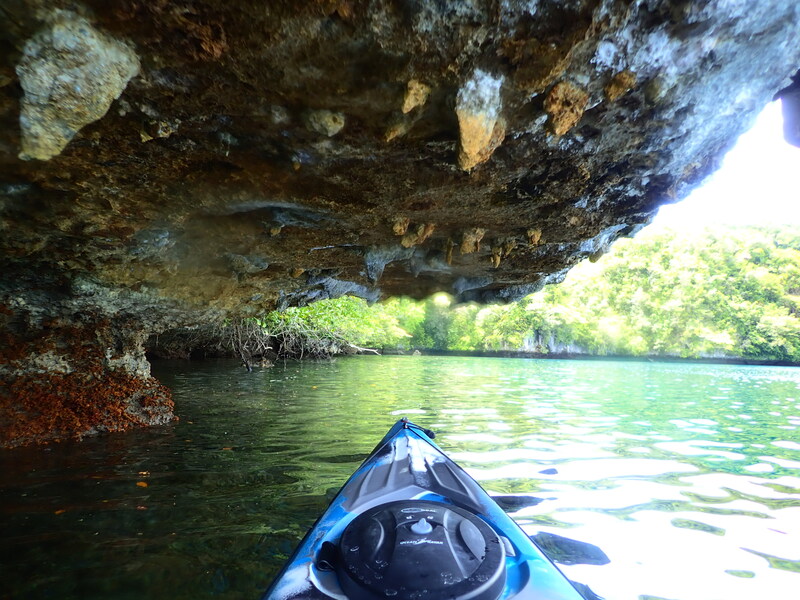 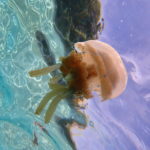 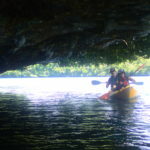 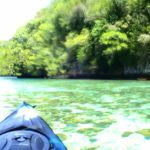 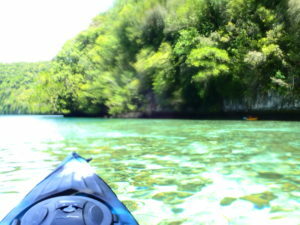 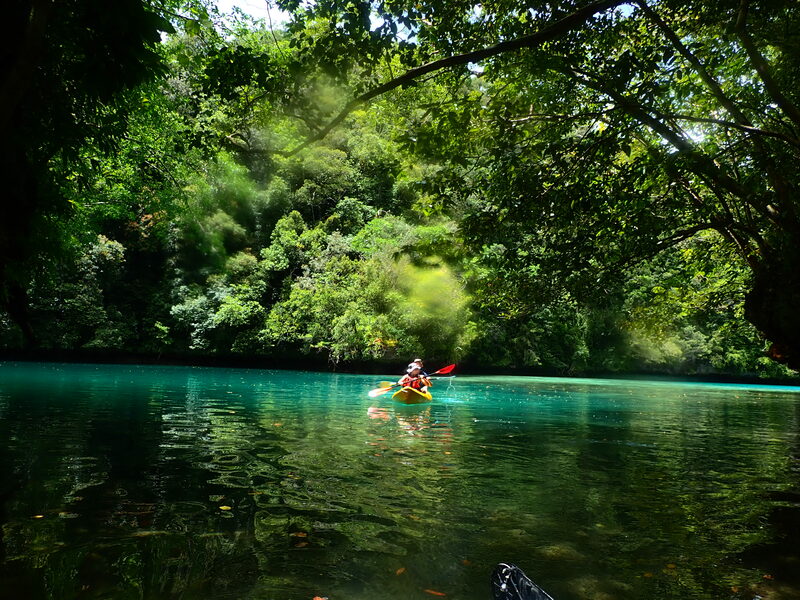 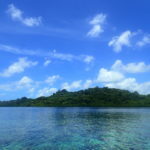 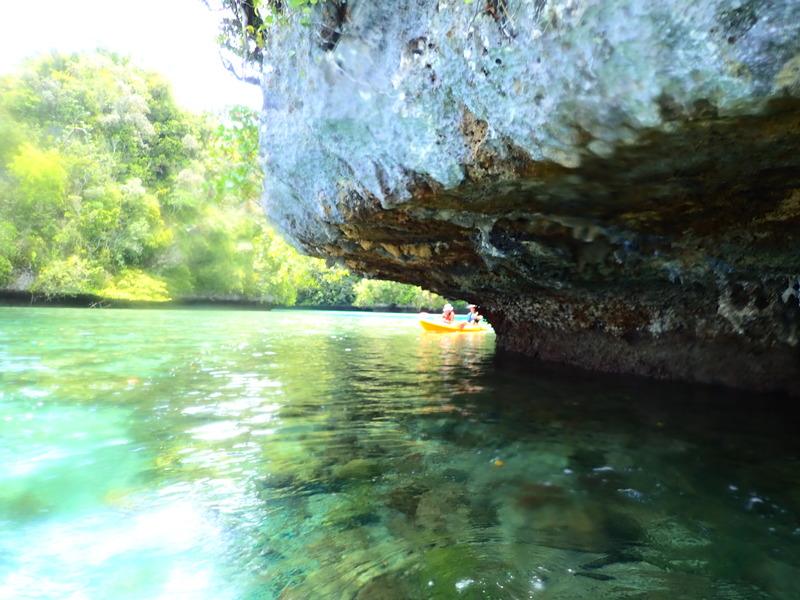 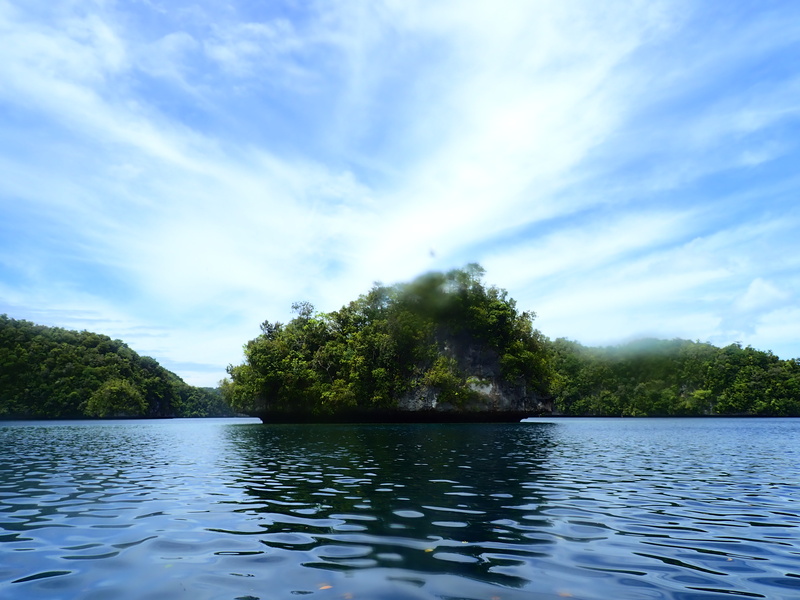 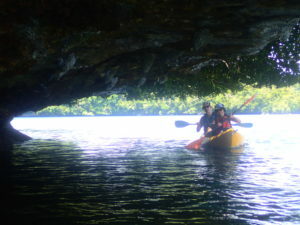 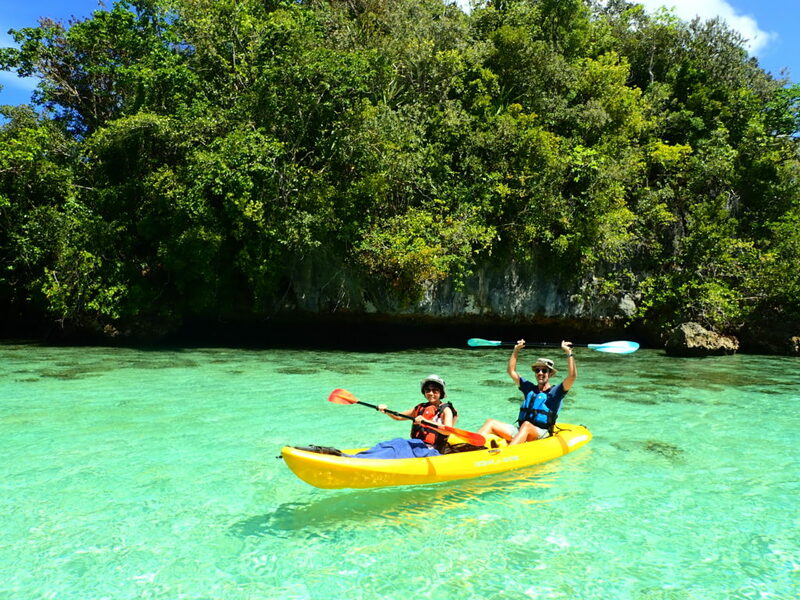 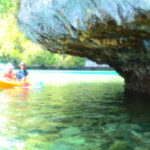 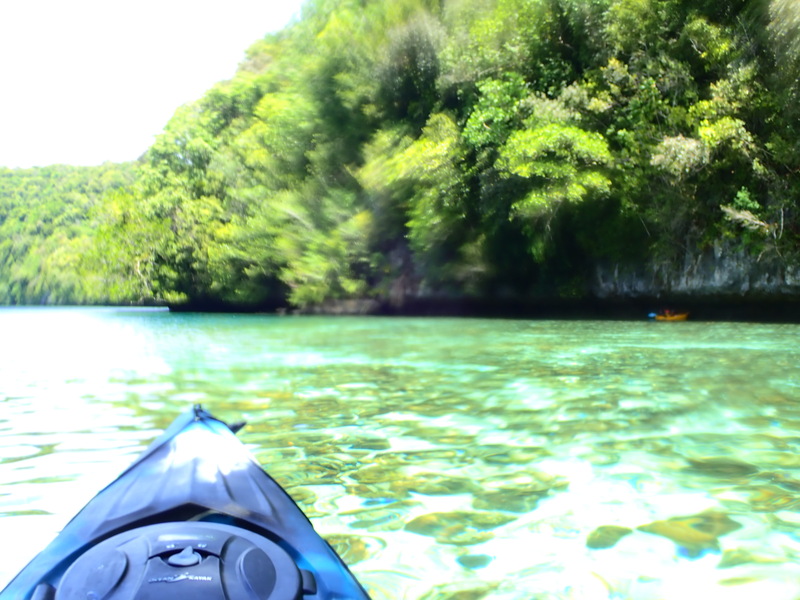 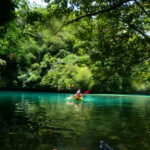 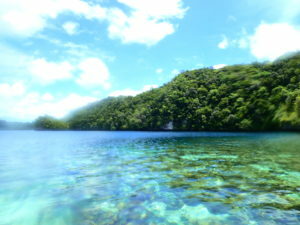 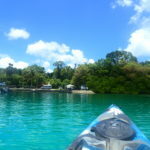 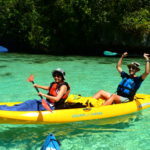 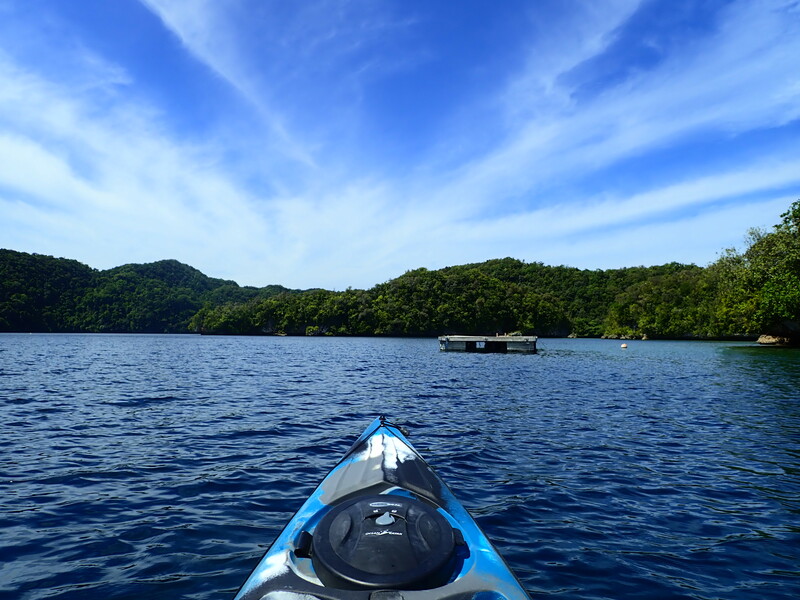 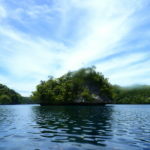 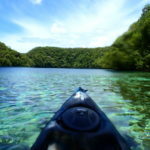 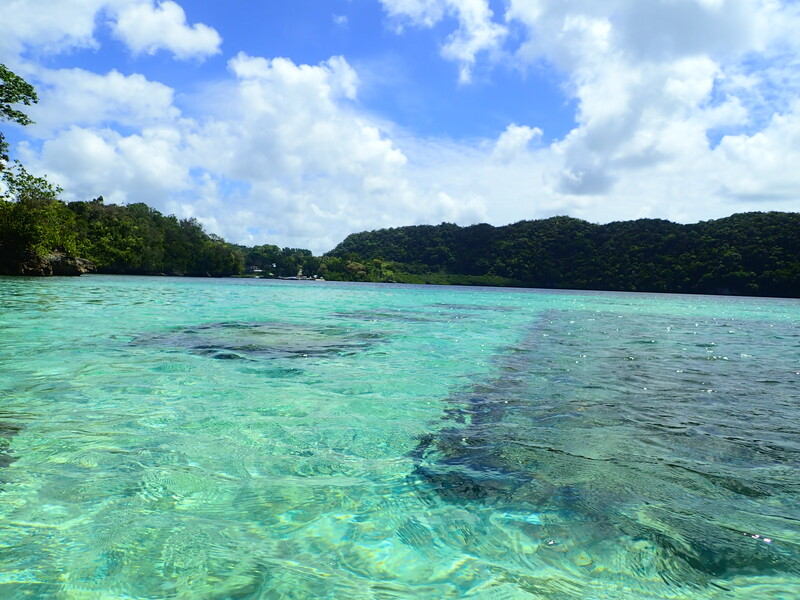 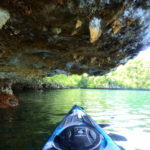 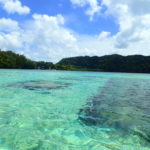 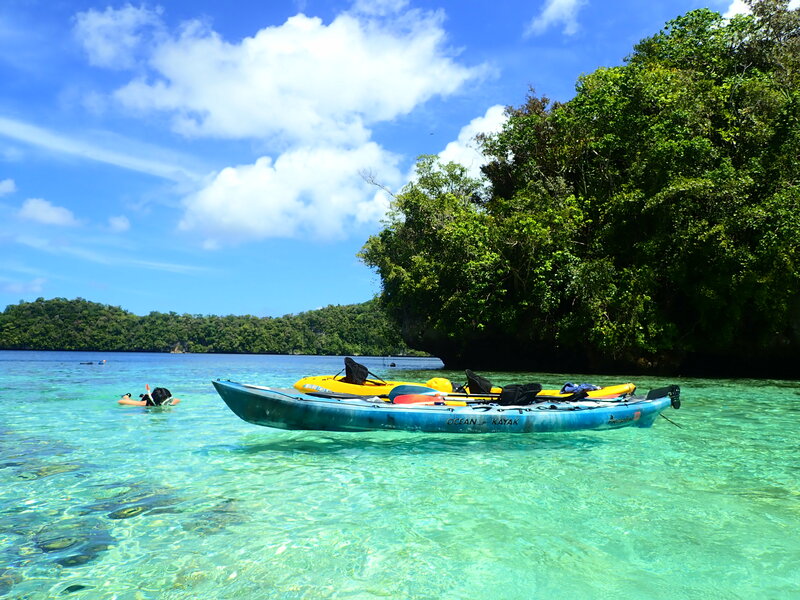 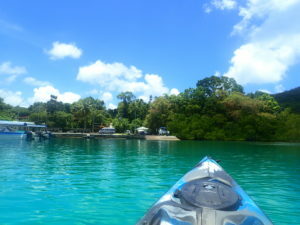 If you come to Palau, kayaking is recommended at Nikko Bay!